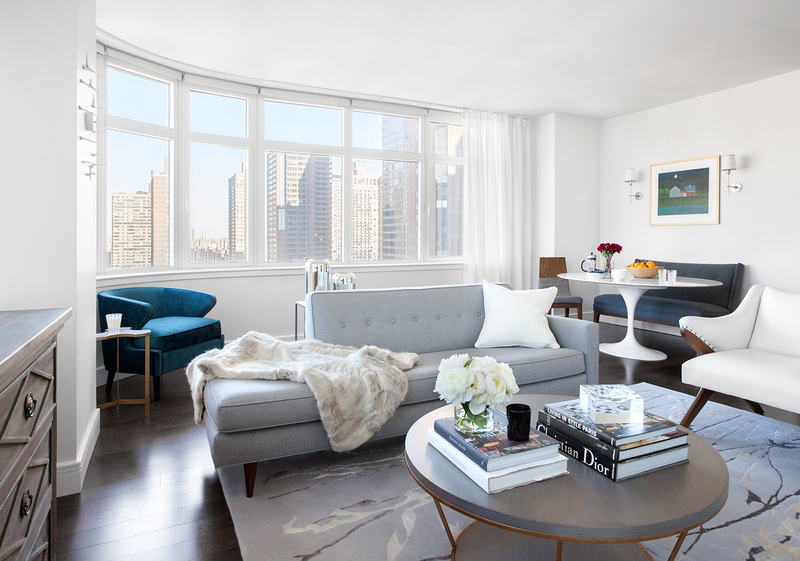 Having launched in Boston (and several other cities) earlier this year, interior design firm Decor Aid is spreading like wildfire by passing trade-only discounts on to clients, and I'm liking what I see! 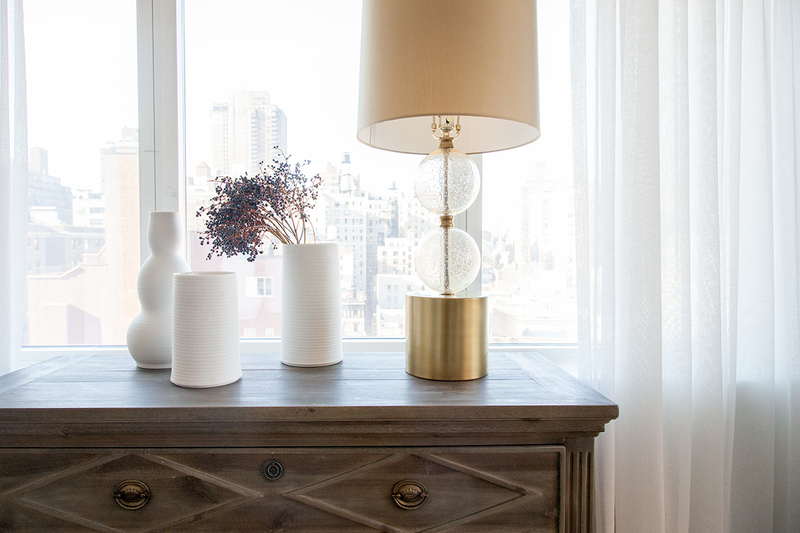 This family apartment on Manhattan's Upper East Side combines easy mid-century style with just a touch of glam, plus a cool, neutral palette that lets the view take center stage. The original interior featured outdated, mismatched furnishings and an overall gloomy aesthetic that didn't take advantage of the apartment's abundant natural light. 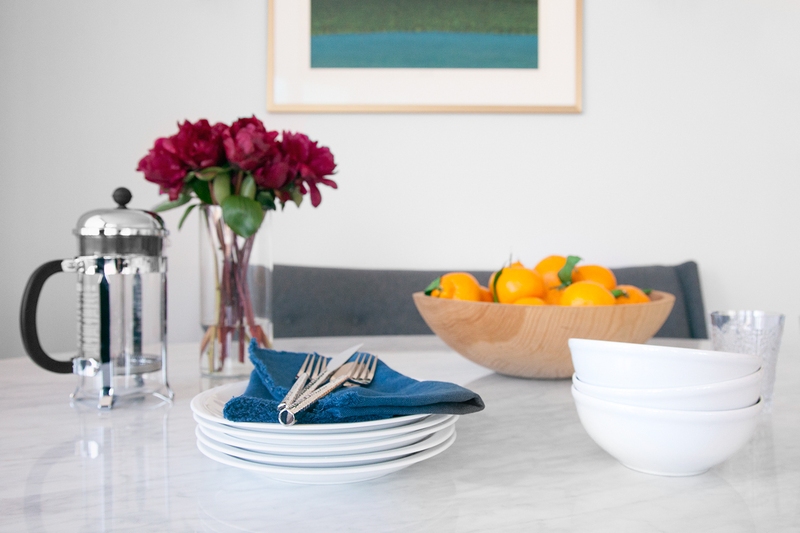 Like many mothers, the client wanted a kid-friendly, yet sophisticated, family home that would be uncluttered and serene. She asked Decor Aid to create distinct spaces that would coexist, allowing her to relax or work while keeping an eye on the kids. DESIGN CHALLENGE: The large living area was irregular with curved windows; the asymmetrical shape needed balance along with defined and separate areas for living, dining and sitting. We were aiming for a perfectly blended aesthetic of modern minimalism that was functional for living with small children. We selected sturdy upholstery fabrics and pieces that could take a bit of wear and tear, yet elevated enough to work with the heirloom pieces the client inherited from her grandmother. We chose a calming palette of soothing grays and blues to echo the backdrop and create a tranquil environment. Clean lines, simple silhouettes and white walls elevated the neutral backdrop and provided a sense of separate and distinct spaces. 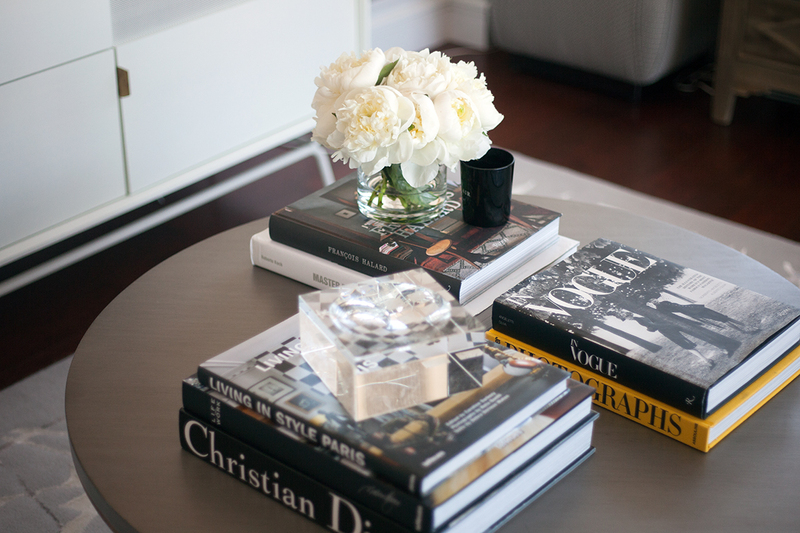 A monochromatic palette, layered with different textures, provided a cozy look and feel. 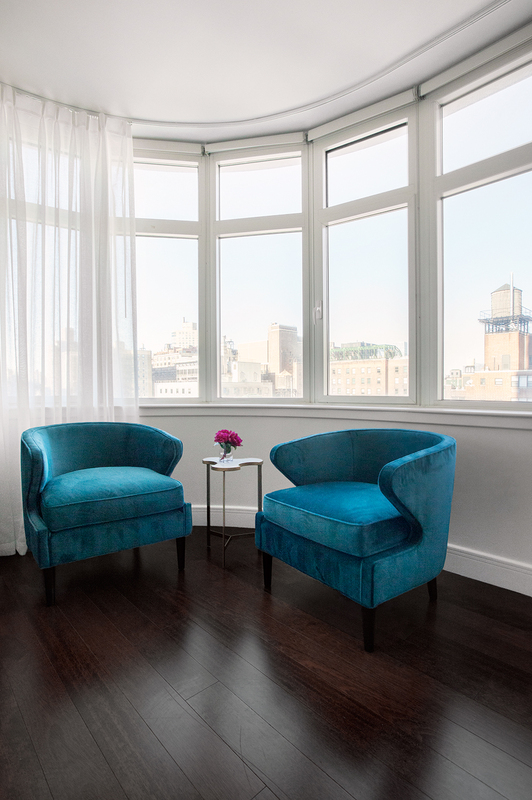 Blue sitting chairs provide a pop of color and a cheerful detail, while [adding] a sense of separation from the TV area. Metallic accessories, a silk rug and wood accents on the furniture add dimension and a sense of warmth and richness to the room. 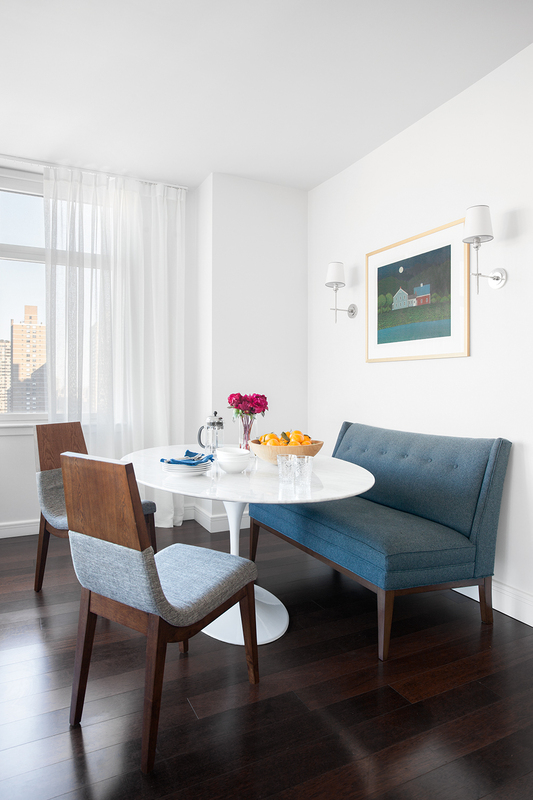 The dining area doubles as a workspace, so we used a modern table with a streamlined silhouette to take up minimal space. A sense of balance and harmony was achieved using a complimentary mix of rounded and linear shapes and modestly sized furniture. We added light to the narrow, dark entryway by hanging a large convex mirror in the center. 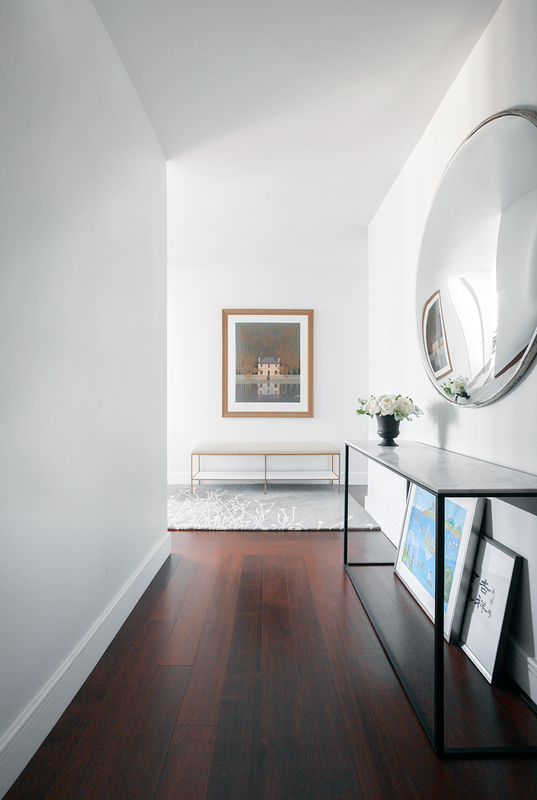 A thin console table provides a place for keys, while a bench at the end occupies minimal space for sitting and removing shoes. 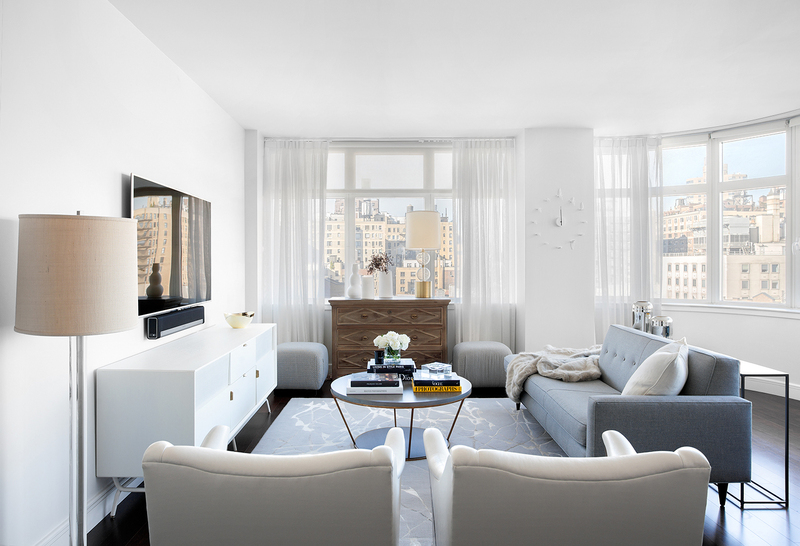 Decor Aid is now offering its services in Boston, Chicago, D.C., London, Miami, New York, Philadelphia and San Francisco, with plans to expand further. To learn more about how it works (or just to gawk at some pretty pictures), visit their website.